Chaplin made me laugh and cry without saying a word. I had an instinct. 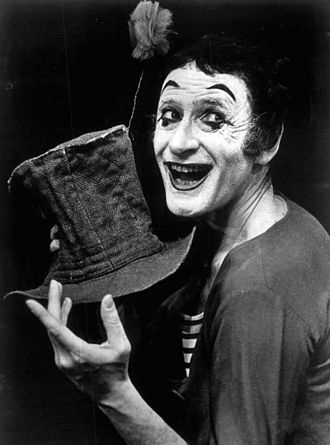 I was touched by the soul of Chaplin- Mime is not an imitator but a creator. I have designed my style pantomimes as white ink drawings on black backgrounds, so that man's destiny appears as a thread lost in an endless labyrinth... I have tried to shed some gleams of light on the shadow of man startled by his anguish. Silence is like a flame, you see?